Repeatedly increase personal potential and develop transferable skills. The purpose of these programs is to conduct fundamental research in the chosen field, present original and scientifically valuable conclusions, write and defend a thesis. In scientific and technical subjects, work on a thesis often becomes a part of large research conducted by a university. This allows a student to become part of the current research group and to gain valuable experience and sharpen the command of a subject for subsequent career and personal growth. Research programs can include small modules dedicated to statistics, special programs and equipment for the PC, the selection and use of research methods, the writing of scientific papers and the presentation of data. Work with a supervisor (one or two): meetings every few weeks to discuss the interim results of dealing with the difficulties encountered. The format of supervision depends on a subject. Such programs are also aimed at developing skills necessary for research: project management, planning, self-organization and other ones necessary in the chosen subject area. Considerable attention in the learning process is paid to the integration of students in the scientific community, the assimilation of ways of its functioning and the exchange of information – i.e. professional training of a scientist: participation in seminars, conferences, publications. 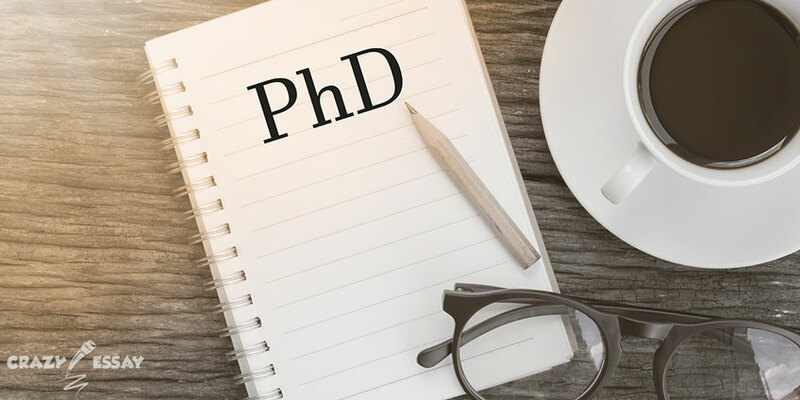 The successful completion of PhD program training modules may be a mandatory requirement for obtaining a degree, but these modules do not have a significant influence on the final performance evaluation. Everything is decided by thesis and its successful defense, as well as passing an oral examination in the specialty. Successful graduates of such programs are independent scientists, equipped with professional, personal and transferable skills that can make a significant contribution to the development of the chosen field. And if you need to write a research paper and you are having trouble with it, it is time to read what we are offering you. Let us talk about moral principles in the light of forming a positive image of a company. This one or any other topic can be chosen by you for your paper. To begin, it makes sense to talk about a foundation. It ensures the creation, development and preservation of a positive image of a company. To build a foundation of the image and reputation, it is necessary to take 5 steps. The first step should be a thorough audit of business principles, based on which a company can develop a clause about objectives of its business. Then you need to reflect the principles and objectives in a simple and short working version of philosophy of the corporation. The next step is the definition of long-term tasks. To create a master plan for an image, you need to be clear about where you are moving. After the enterprise has decided what it wants, it needs to decide what standards employees should follow. These rules or standards necessary to achieve goals are best formulated in writing. They should flow from results of the audit of principles and the definition of goals. Subordination of standards and rules is a method that will help keep a foundation of a new image intact. Creation of a foundation means defining values, goals, principles and philosophies, on which the entire building of the plan will rest. Without support of strong principles, beams, so to speak, anchored in a solid foundation, the plan is doomed to failure. Without a foundation, everything else does not make sense. To withstand a strong earthquake, the building must be an inseparable whole with a solid foundation. To survive in the most difficult situations, business, a corporation, or a country must rest on a reliable basis. So what is "to make an inseparable whole with a solid foundation"? This means that when you hit the bad patch in your business or you get negative feedback about yourself in the press, you will have chances to survive. What should be a foundation for successful business? Just as for a foundation of a building, there are specific requirements, and building foundations for successful business requires special elements. Principles are cornerstone of a foundation, however, they are most often overlooked. If you analyze the causes of the largest companies’ crashes, you can find that they lie in ethical and moral mistakes. Decide what to believe. To help determine principles, write a principle on a sheet of paper that you will never give up in life. And then state clearly your definition of a person with principles on paper. A person firmly resting on moral principles is wise. No less wise is the company that is able to determine them for itself. When principles of an enterprise are clearly formulated, it feels like a certain perfection is here. Life changes, but principles remain the same. Defining principles on paper will help a firm and its employees understand what needs to be done, facing everyday problems or an unexpected crisis. Regulation with the purpose determines responsibilities. It focuses a firm on the performance of the promised services, on the performance of a specific task or instruction. It is the internal driving force of a company. It is like a beacon that guides and illuminates the path. Outline the concept of a company in it. Knowledge of the concept of your company by employees will give them a complete idea of your goals. How can I, a company employee, help you get to your destination if I do not even know where we all are going? Concentrate on the needs of people. The ideal position should always clearly and directly reflect the fact that products of the company and services are primarily intended for human needs. Those companies that try to only make money or become the largest in their industry, eventually lose their image and fall apart. The position of objectives of the company should clearly identify the needs of customers the firm is called upon to satisfy.